needed to come to rest. to restore its energy to glow. before lose track in darkness. on the canopy of trees. life draw back to home. Ps. Inspired from the evening walk on Sunday around the picturesque BlueCross road, where the picture was shot, in neighbourhood - Adyar. Hello, lovely view of the road. Pretty poem! Enjoy your day and the new week ahead! Beautiful, indeed! I like that first statement - things belong somewhere. Truly, we all do! You are always good at expressing your thoughts into words. The lonely road with high walls and old trees are beautiful and tranquil. What a superb picture ! And the poen is lovely too ! Lovely poetry and wonderful photo too! Home is always sweet place to be on. I like the straight high wall. Makes one curious what is on the other side. Nice poem. I had walked on this road many times with our dog, Andy when we lived nearby. 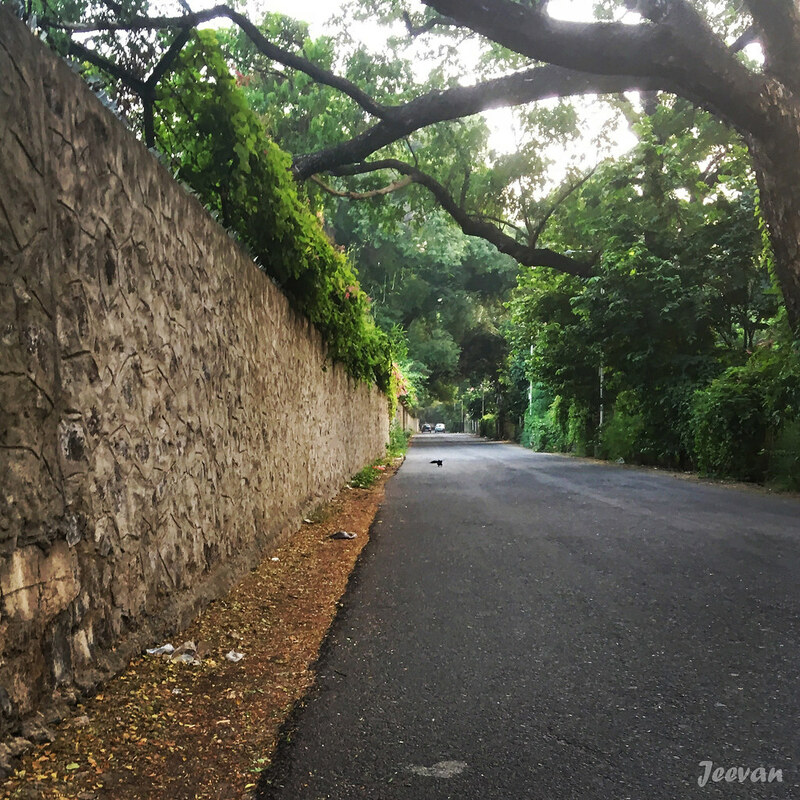 Beautiful road and beautiful words, Jeevan! Keep writing more poetry! Love the wall and road ~ neat shot and well composed! Merry Christmas and a Happy Healthy New Year to you ! It looks like a wonderful place to take a stroll.